Adding assets is easy, whether you are starting from scratch or migrating from an existing system. 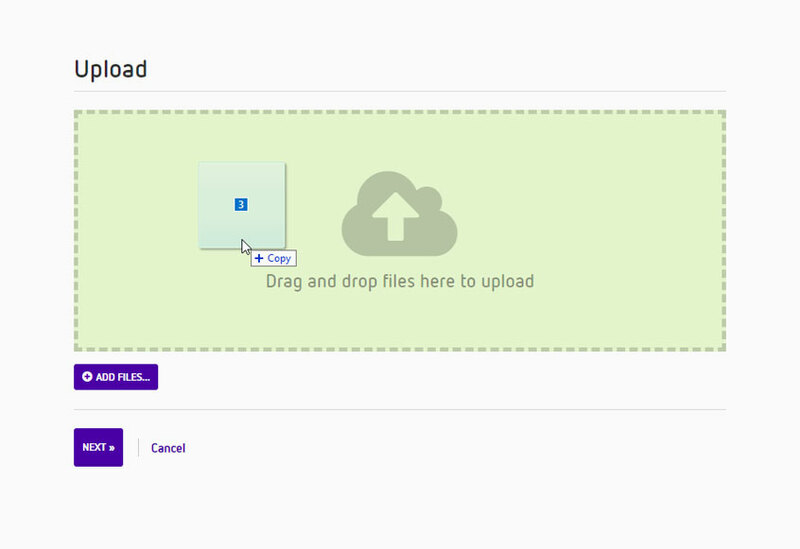 Asset Bank allows you to upload any file type, either one at a time, or in bulk, creating previews automatically. Images - jpg, gif, bmp, png, raw, etc. Artwork- psd (Adobe Photoshop), ai (Adobe Illustrator), indd (Adobe InDesign), etc. Videos - wmv, mpg, mpg4, mov, etc. Audio - mp3, wav, etc. Documents - pdf, doc, docx (Microsoft Word), xls, xlsx (Microsoft Excel), ppt, pptx (Microsoft PowerPoint), zip, etc. If you already have metadata for assets (e.g. if you are migrating from an existing system) then you can import this from a spreadsheet. Asset Bank can then use a unique identifier (usually the file-name) as a key to connect the metadata to the right asset. Asset Bank can be configured to automatically extract values from embedded metadata fields such as IPTC and XMP and map this data into attributes. This information will then be visible and available for searching. In addition, Asset Bank can write current metadata values back into these embedded fields at point of download. You can easily upload a folder structure from a text file. Alternatively, if you already have a folder structure containing assets, you can ingest this all at once and Asset Bank will create folders and sub-folders to match, placing assets in the correct location and generating web optimised previews for each. This is a good starting point for an initial data migration for example. You can configure Asset Bank to monitor a folder on a network drive. Any assets dropped into this folder will be automatically ingested. These assets can either be immediately set to live, or added to an approval queue for review and addition of metadata first. As an alternative to the standard Bulk Upload method, Asset Bank allows upload via an FTP client. This is especially useful when other methods are not feasible, for example, when uploading assets in areas of low bandwidth. Though our clients use Asset Bank to manage and share their files, ownership of all assets remains exclusive to them. Upon request we can also send clients a copy of their complete library of content on a removable hard drive.